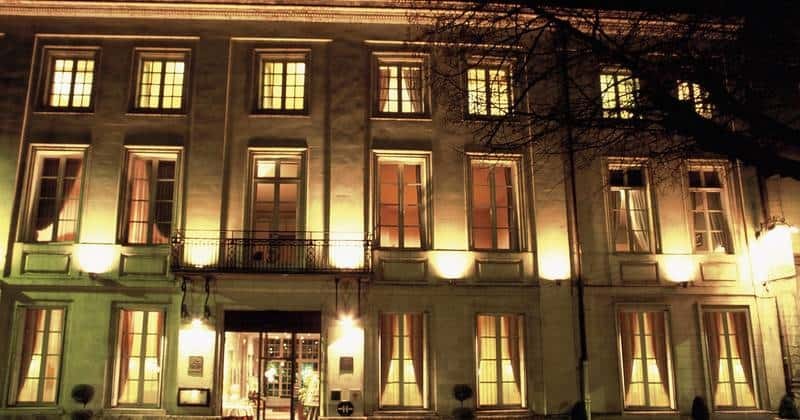 Hotel Anne d’Anjou is a magnificent 18th Century mansion designed by Mr Caileau – King Louis XIV’s own architect – and offers stunning views of both the Loire River, and Saumur Castle – nestled at the foot of the castle itself. The façade of the hotel and staircase within were both classified as historical monuments in 1975, and guests staying here can marvel at this historical architecture, and may even wish to stay in one of the five rooms which retain their original decor. 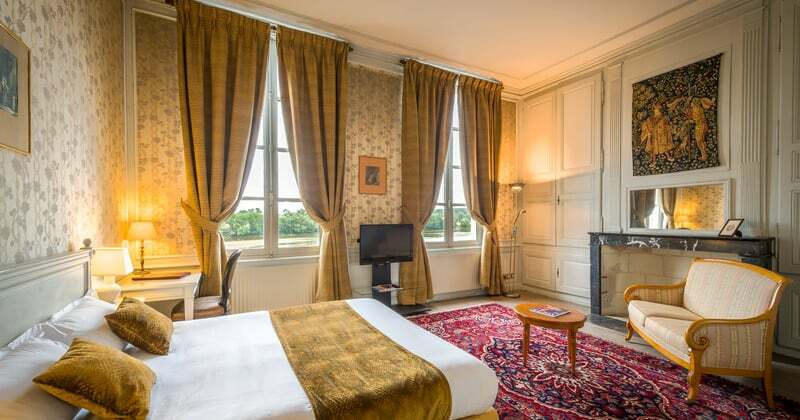 The hotel benefits from an excellent location, at the foot of Saumur Castle, overlooking the Loire River. 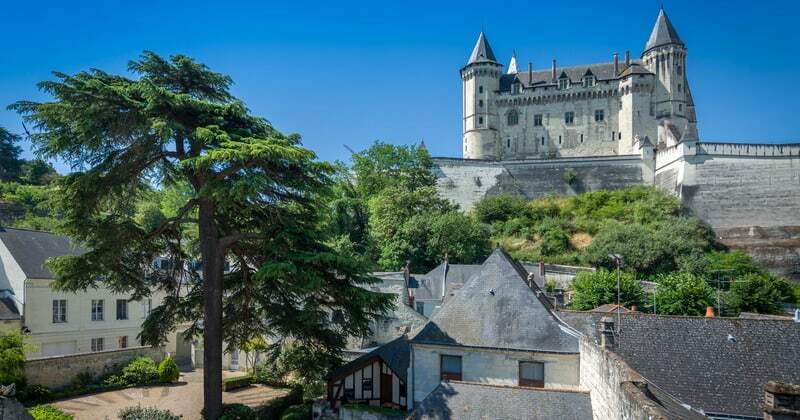 A short five minute stroll will lead you directly into the castle itself, and a ten minute walk brings you to the centre of Saumur, where you will find shops, bars and restaurants. 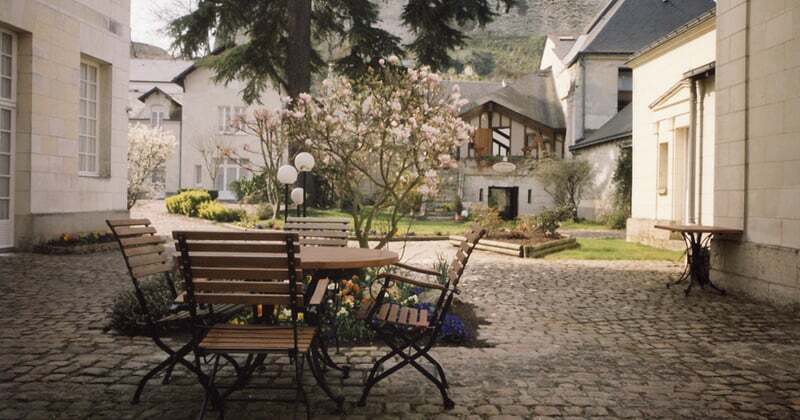 Saumur train station is just five minutes from the hotel by taxi. During a stay here, guests will enjoy all of the amenities of a modern hotel, amidst the splendour of 18th Century design. The 24 hour reception staff will ensure that everything is perfect throughout your trip, and luggage storage facilities are available if required. A breakfast buffet is served daily, and guests can enjoy plenty of wine in the hotel’s bar. Complimentary WIFI is available in both the public areas and guestrooms, and the hotel also has two meeting rooms available for events. Three room grades are offered here; Comfort, Tradition and Elegance, and all offer a queen sized bed, satellite television, desk area, minibar, and an en-suite bathroom with hairdryer. Five rooms still retain their original design, but most have been redecorated in an elegant traditional style. The difference between the rooms is size- the higher the room grade, the larger the room.